WASHINGTON, DC--(Marketwired - September 30, 2016) - Today NeighborWorks America, a nonprofit, nonpartisan, Congressional-sponsored corporation, announced the appointment of new board member Nani Coloretti. Nani Coloretti serves as Deputy Secretary of the U.S. Department of Housing and Urban Development (HUD). 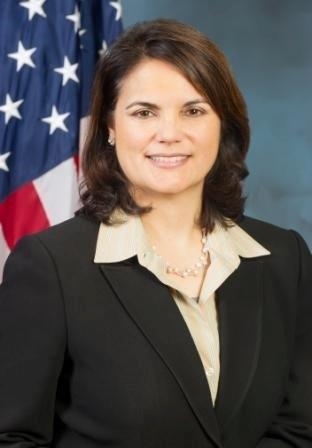 As the second most senior official at HUD, Ms. Coloretti manages the Department's day-to-day operations, including a $45 billion annual budget and approximately 8,000 employees. Prior to joining HUD, Ms. Coloretti spent two years as the Assistant Secretary for Management at the U.S. Department of the Treasury. "It's an honor to serve with a group of individuals dedicated to helping people live in affordable homes and to improve their lives," said Coloretti. "NeighborWorks America is one of the nation's leading trainers of housing and community development professionals and I'm looking forward to representing the Department on its board." As board member, Coloretti will provide strategic leadership in support of NeighborWorks America's mission to create opportunities for people to live in affordable homes, improve their lives, and strengthen their communities. "All of us at NeighborWorks America are delighted to work with Nani, and we look forward to applying her knowledge and expertise to our work and mission," said NeighborWorks America President and CEO Paul Weech. Determined by statute, NeighborWorks America's board consists of the heads of the financial regulatory agencies and HUD, who are presidential appointees subject to Senate confirmation, or their statutorily designated representatives.